Originally from Damascus, vocalist Gaida is celebrated for her unique and highly personal musical style which is marked by a great emotional intensity. Known as the “Syrian Nightingale,” Gaida evokes the emotional storminess of legendary singers like the Algerian Warda and the Egyptian chanteuse Om Kalthoum, but is recognized for her remarkable ability to masterfully improvise and expand on the traditional Arabic maqam. 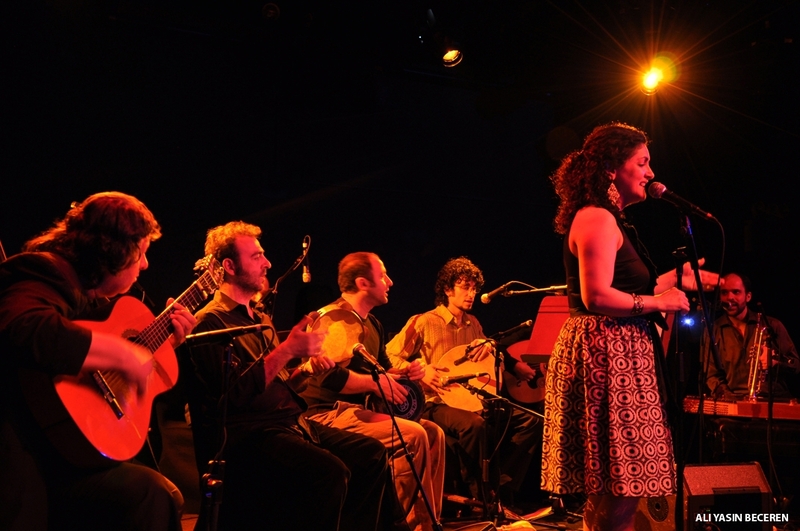 While Gaida’s songs flawlessly unite the elegance of Arabic poetry and the refined ornamentation of Middle Eastern vocals, her ensemble, Levantine Indulgence, skillfully execute classic and traditional folk songs from the Arabic repertoire. This exceptionally musical and multi-talented ensemble employs the instrumentation of frame drum, buzuq, qanun, dumbek, oud, violin and bass. To book Gaida, contact us via the Contact page.